With the swift-paced business environment, companies face multiple challenges: out of the box innovation and pioneering the unthinkable solutions. M-Connect is one such firm which directs its clients to compete with their competitors who are in the same race to match the apex levels and beat their competitors with cost-cutting. It is respected for innovative and thorough leadership, regardless of the size of the enterprise. It takes immense pride in its achievements and recognition as a branded leader in transforming unconventional businesses into an extraordinary digital landscape. With Bodacious designing, belligerent problem-solving skills, and beaming technology(the three B’s), the company has successfully managed to cement its space as a classic eCommerce builder. Showing considerable attention through the nanoscopic prism has allowed it to align with some of the eCommerce giants of this era. It has also led to the association of small-sized enterprises which aspire to magnify their brand image. 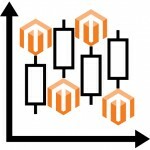 70 additional Magento extensions are the proof of company’s professional credo. 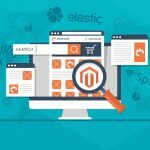 These extensions are known to manage the eCommerce speed and arrange the exact flexibility which you are on a long search. These easily customizable and pliable extensions have become an obligatory module for the dynamicity of a website. 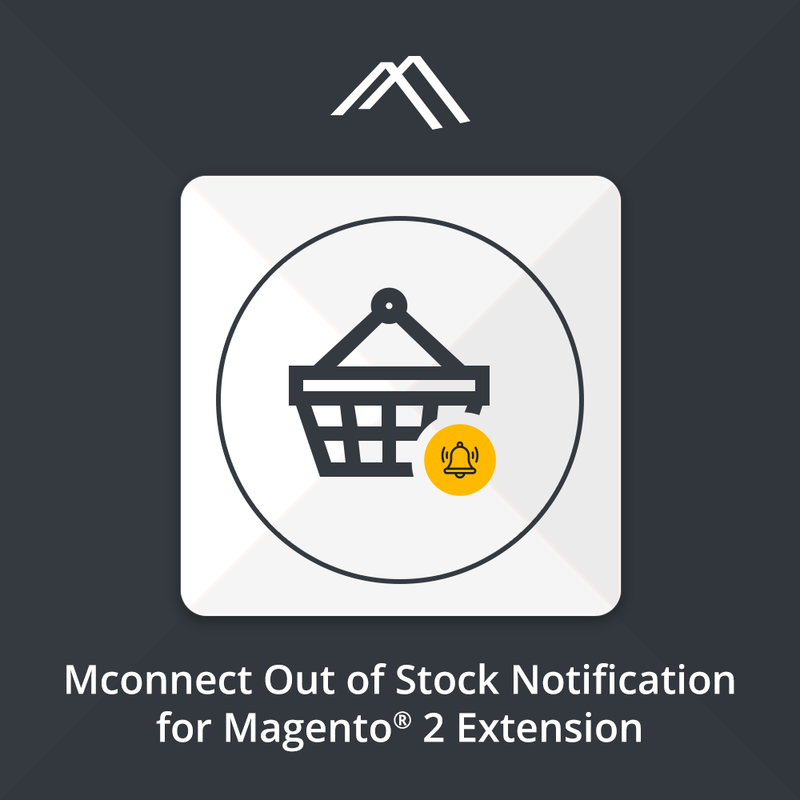 With the help of this extension, the customers can request for the notification of the available products which got out of stock while they were making a purchase. Just by entering their email details on the product detail page, a subscriber would get the notification as soon as the inventory fills its racks with the desired product. 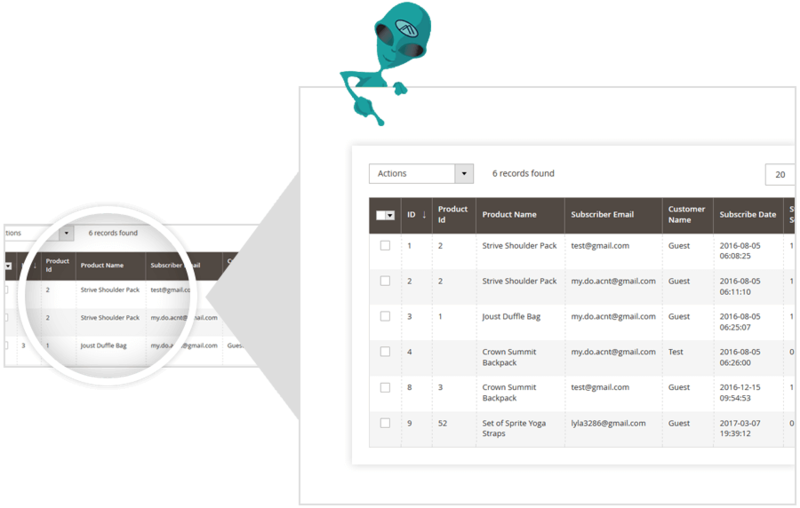 It also allows admin to check the list of subscribers at Magento 2 backend, and have right to remove any subscriber from the list. 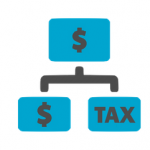 A product-wise filter can quickly help to assess which products are in demand and admin can change the stock level of the particular standard from next replenishment. The user gets to see the out of the stock on the front-end itself by enabling this module. The user can subscribe to receive an automatic out of stock and back in the stock notification in case store inventory is updated. 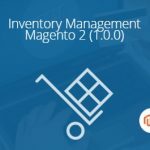 This extension gels very well with all product types in Magento 2…the simple, bundled, grouped, virtual and downloadable products. Of course, it is also good with the configurable products. The Admin can quickly add a subscription manually. The Admin can manage all the subscribed users by providing them the product details. The admin sent to all those users who have subscribed to it once the product is available again. 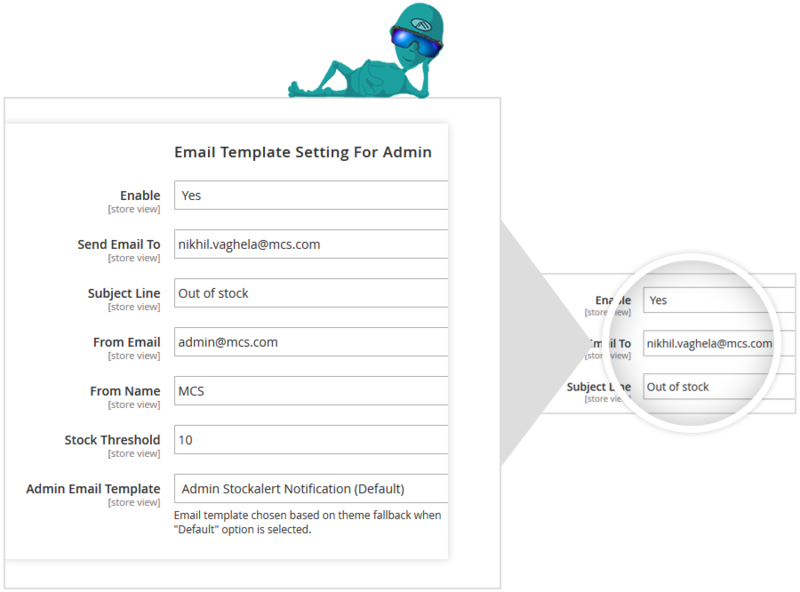 Quickly send email to admin when a product gets out of stock. 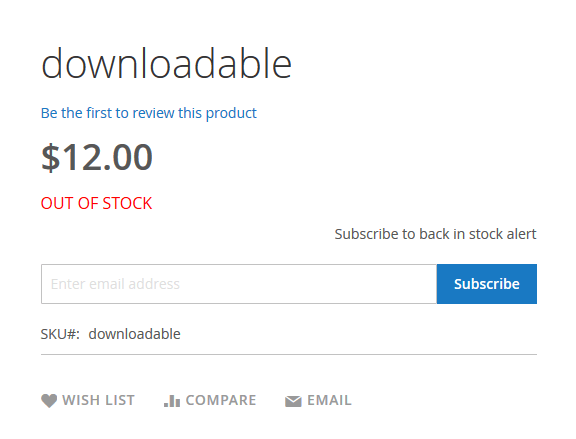 It allows you to set a threshold number for product quantity to get out of stock notification email. You can’t make a grave mistake of drawing a customer only to make them see a hot tag “out of stock.” Using this extension gives you a great chance to beautify your customer services and would factually assist you to assess your inventory. Be aware of what products customers are interested in- magnify your sales and touch every shortcoming.